Are you dating Handstand and the Wall simultaneously? I don’t blame you, it’s so comfortable! But you know, relationships aren’t just about getting comfortable. They are also about challenging yourself, growing, and eventually… being able to nail one without using the other. Just sayin’… So, it’s time to give up the wall while practicing Handstand. I know, it’s easier said than done. How do you even begin? It’s scary giving up the Wall. The fear of falling out of Handstand is real. Kyle’s friend Soundschi has a video just for that! 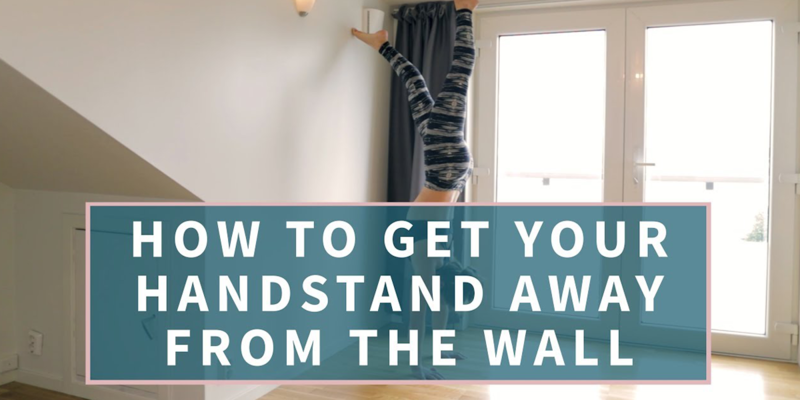 She artfully describes and demonstrates three exercises that will help you feel more confident getting your Handstand away from the wall. What stuck with me was the way Soundschi uses the power of her hands while demonstrating each exercise. Intrigued? Check it out! To support Soundschi with a shoutout or question, please go to her YouTube feed or headover to handstanddiary.com and reach out to her directly. Hey Handstander, what questions do you have for me? Is Handstand making sense? Is there anything you would like us to cover in a blog post? Stay put, there are definitely more Handstand goodies coming from our friend Soundschi. Have a beautiful day!